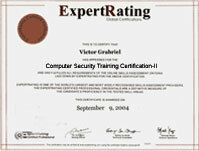 (leading to ExpertRating Computer Security Training Certification-II). This course includes a knowledgeable and caring instructor who will guide you through your lessons, facilitate discussions, and answer your questions. The instructor for this course will be Debbie Mahler. About the ExpertRating Online Computer Security Course-II instructor :Debbie Mahler teaches students at the college and university level on a wide range of business-related topics, worked for nearly 15 years in the PC repair business, has a successful online IT business, has written six books, and writes for several newsletters and other publications. Long before PC security was a front-page topic, Debbie Mahler was reporting on, and educating the public about, viruses and other security threats. It was this early groundwork that earned her the title of Symantec Software Partner and Security Specialist. Debbie holds a B.A. in Applied Behavioral Psychology with graduate work in Organizational Psychology and Computer Information Systems. She was a presidential scholar and graduated with high academic honors including Phi Theta Kappa. Online PC Security Course requirements: For taking this instructor led ExpertRating Online Computer Security Course-II you need Completion of Debbie Mahler's online Introduction to PC Security course (or equivalent experience), or completion of David Iseminger's online Introduction to Networking course (or equivalent experience). You must be familiar with PC and networking terminology and have at least a basic knowledge of how networks function. You will also need access to one or more networked computers that do not contain any data you consider sensitive. You will also need Internet access, e-mail, and the Netscape or Firefox or Internet Explorer Web browser. "As with Introduction to PC Security, Debbie Mahler has written another marvelous course in Advanced PC Security. She writes beautifully and the use of analogies is wonderful and makes tough stuff easy to understand. This is a comprehensive and challenging course and very worthwhile; but made easier because of Debbie's great style and manner." "Debbie is a Great instructor! The discussion area was really helpful; she always took the time to answer everyone's questions. I hope that she makes other courses available online. Great class and I would definitely recommend it." "Debbie is the greatest teacher and the most knowledgeable that I've come across. I love her teaching style." "Debbie Mahler is a great instructor. Her courses are the most informative courses I have taken online. The information covered in the course continues to help me long after the courses are completed." "Debbie Mahler is a remarkable instructor! On both of her computer security courses, in addition to her very clear and enticing class material, she makes the discussion area come alive with thorough and amusing explanations, as if overnight she had created an entire new lesson to address each student’s question. I will instantly sign up for any new course she may offer. Thank you ed2go for providing the opportunity to learn and chat with such a knowledgeable and caring instructor." "Excellent course and perfect follow-up to the introductory PC security course." "Excellent course. I am still digesting the information. Very informative. Thank you for an excellent course." "Excellent presentation of the material. There were some tough lessons, but the instructor did an outstanding job in making it understandable. I learned lots of very valuable information from this course." "Great course - I would recommend this course to anyone who has an interest in implementing stronger security measures. Highly recommended for small business. Thanks." "I couldn't ask for a better class on the subject! The instructor was very helpful as well." ExpertRating is one of the world's only ISO 9001:2015 Certified companies (from TUV America) offering an Online Computer Security -II Course (leading to ExpertRating Computer Security -II Skills Certification). When you choose the ExpertRating Online Computer Security Course-II you can be sure that you are buying a premium International certification that is recognized by hundreds of employers and Government bodies in the US and other countries. With ExpertRating you get certified quickly online and you are equipped with a store house of information through the in-depth ExpertRating Online Computer Security Course-II Courseware which has been developed by experienced PC Security Experts. The ExpertRating Computer Security Certification is by far the best value for money instructor led Computer Security Program at $129.99. How much does the Computer Security Certification cost and what does it include? You can buy this ExpertRating Online Computer Security Course-II leading to Computer Security certification at a special offer price of only $129.99 which includes the in-depth ExpertRating Online Computer Security Course-II Courseware and exam fee. This is the best value for money Computer Security Program available till date. You get the following services within the USD $129.99 fee. In-depth ExpertRating Online Computer Security Course-II Courseware including scenarios and case studies. World wide airmail delivery of the hard copy Computer Security Certificate. The Computer Security Certificate can be used to prove your certified status and does not mention the words "online". The process of getting yourself certified is very simple. All you have to do is buy the ExpertRating Online Computer Security Course-II for $129.99. Log in to the instructor led course using your password. Go through the ExpertRating Online Computer Security Course-II Courseware (which would take you 6 weeks) and complete the final Computer Security Certification exam at your convenience. You can complete the exam within 2 months of buying the Computer Security Certification. The result of the exam appears as soon as it is completed, and your Computer Security Certificate is mailed immediately. Chapter assignments to help you practically use the Computer Security that you will learn during the Computer Security Course. 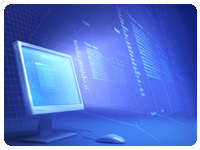 The final exam is fully based upon the ExpertRating Online Computer Security Course-II Courseware that is provided along with the Computer Security Certification. If you have gone through the courseware properly you should not have a problem clearing the exam. The exam consists of multiple choice questions from all chapters of the ExpertRating Online Computer Security Course-II Courseware. According to the US Bureau of Labor Statistics, growth in computer support specialist jobs will be about as fast as the average, while growth in network and computer system administrator jobs will be much faster than average. The advent of computers created a revolution. However, this great revolution has to be protected from viruses, spyware and from the outside world. You will be able to lock files, monitor program activities and have complete password protection after completing the course on PC Security. 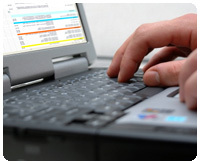 PC Security helps you to ascertain whether a PC is free of viruses, spyware and hackers. The PC Security course will help you provide full protection to the PC against all the traditional threats. You will be able to offer deep protection, monitor the very heart of the computer at all times, anticipate everything that might be a sign of danger in the computer and prevent any such activity. The ExpertRating PC Security Certification course will help you completely protect your computer, as well as make you a pro with all the securing Home or Office PCs. If you've ever wondered about the different types of hackers, what motivates them, and when hacking is considered ethical, this lesson answers these questions and more! You'll learn about the white-, black-, and gray-hat hackers, why they hack, the methods they use, and the ethics of computing and hacking. You'll also get your feet wet by learning how to conduct a security audit on your network by trying to penetrate it just as a hacker would! This is the lesson where you'll learn about people hacking! Social engineering is the official term for the physical and psychological methods hackers use to gain entry to your system. Intrigued? Good. Get ready to learn the insider techniques of how hackers gain information about your networks through preying on the weakest link in any organization—its employees! If you've ever used the Google search engine to find information on the Internet, you know how powerful it is. Hackers know this too, and they have found a way to use the built-in power of Google to gather information about your network! By learning how the search engine works, you'll see why and how Google stores so much public and private information. Then, you'll learn how hackers extract this wealth of information and how they use it against you. In this lesson, you'll learn advanced Google hacking techniques so that you can perform a Google hack for your security audit. Get a full list of advanced hacking operators and discover—in depth—the advanced method of querying Google. Through a step-by-step example, you'll see how a search query is performed and what results look like. And of course, you'll learn how to incorporate this hacking method into your own security audit! Have you ever wondered what really goes on within your network? The OSI 7 Layer Network Model is the standard on which networks are built, so in order to fully understand how networks are hacked, you need to understand this model. But have no fear! You'll learn the purpose, function, and communication methods of each layer within the model. And it’s a guarantee, it will be painless! Have you ever wanted to see what kind of information your network is sending out into cyberspace? Well, it's all in the packets. Once you understand the OSI 7 Layer Network Model, you can now understand packets that travel across a network. It's in those packets that hackers can gain the most information about your network. You'll learn how communication between two networks takes place—from the initial handshake to the termination of the connection—and how you can capture packets from your network just as a hacker would. Now that you've learned how a hacker scouts out your network and gains information, it would be nice to know from what direction they'll attack you from, won't it? Learn how to look for signs that your network has been exposed or penetrated. By understanding the levels of security, from vulnerability through exposure, you'll view a hack through the eyes of a real hacker. Everyone knows that common ports connect printers, USB devices, and the like. But, did you know that there are also ports hidden inside your computer? And more importantly, do you know how these hidden ports can endanger you if they are left exposed on your network? This lesson will look at a PC from the inside out. This lavishly illustrated lesson will help you understand what ports are, where they are located, and what they do. Then, it's a short step to understanding how leaving these ports open can result in a hacker learning the services and software running on your network. While the term necessary evil is a cliché, there are a few necessary evils in the computing world. In order to make networks function, sometimes one needs to run programs that might not be good for security. You'll need to learn to manage the risk involved with running these services by understanding what they do, how they operate, and what you can do to keep them from exposing your network core. Get ready to learn about rootkits in this information-packed lesson! A hacker's best friend, these malicious programs run undetected in the background of your system, launching malicious attacks, sometimes even without your knowledge. It's both hard to find and hard to get rid of rootkits, so for the sake of your PC's security, get ready to apply it in this lesson! Have you ever analyzed your risk? In this lesson, you'll learn how to conduct a risk analysis in order to determine the most vulnerable points within your network. Hand in hand with the analysis is your audit plan, where you can probe your computer or network for the weakest links. And then, this lesson will talk about what to do once you've found them. If you like forensics television shows like CSI, this lesson is for you. No PC security course could be complete without an introduction to computer forensics, which is a precise science used to contain security breaches and minimize loss in the event of an attack. Learn how to become a computer investigator so that you'll be prepared if a hacker ever violates your system.